Today, as the Patriots are coming off their first preseason win and joining together with the Chicago Bears, there were a few more stories to watch than usual out of training camp. Just four days after suffering what looked to be a possibly season-ending arm injury, the Pats rookie wideout is back out in full pads practicing with the team. He is wearing a fairly large elbow brace in order to not further harm himself but this is an extremely good sign to see for Mitchell. His timetable for return was supposed to be at least four weeks but after seeing him out there in full pads, that time could be escalated. Rob Gronkowski walked up sideline after taking himself out of drill, before being met by athletic trainer. They then walked off the field. If there's one person I would think would be staying out of drama, it would probably be third-year cornerback Malcolm Butler. He's usually very quiet in terms of drama but today apparently something lit a fire inside him, and a bench-clearing brawl occurred after a fight between Butler and Bears receiver Alshon Jeffrey broke out. The brawl ended with Butler being tossed from practice, as is customary with any Patriots camp fight, and there's no word on if he'll receive any further punishment. However, this is a situation worth monitoring (See Jonas Gray). 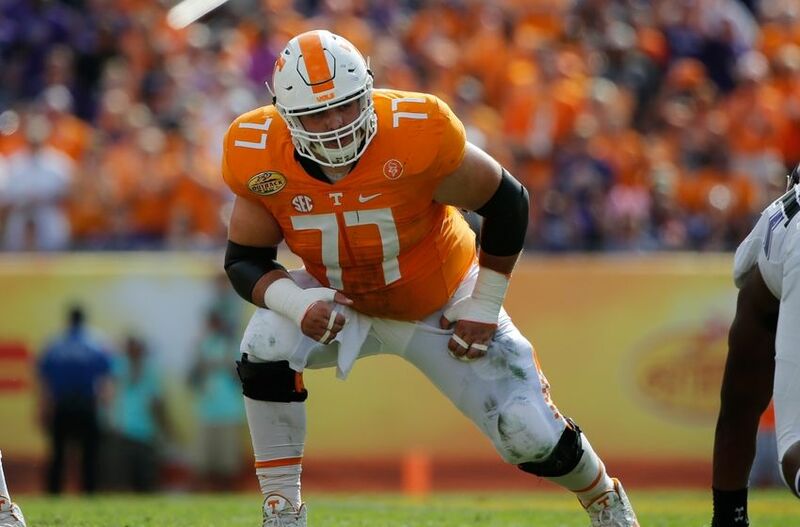 New England announced yesterday that the team has released rookie offensive lineman Kyler Kerbyson, who was signed as a free agent on July 24th. He was a two-year starter at Tennessee and was named to the Second-Team All SEC Team his senior year. This release was a corresponding roster move in order to make room for Nate Ebner, who is returning from the Olympics. In other related news, other than cutting Kerbyson, New England has not made any other roster moves this offseason, which is a surprise, as Belichick usually starts cutting players around this time to make room for some veterans or other rookie free agents. In my opinion, this a good sign; if the coaching staff isn't letting players go, it means there's tons of competition at each position, which just means better depth come season's start.